The “catastrophic” decline in French farmland birds signals a wider biodiversity crisis in Europe which ultimately imperils all humans, leading scientists have told the Guardian. A dramatic fall in farmland birds such as skylarks, whitethroats and ortolan bunting in France was revealed by two studies this week, with the spread of neonicotinoid pesticides – and decimation of insect life – coming under particular scrutiny. With intensive crop production encouraged by the EU’s common agricultural policy apparently driving the bird declines, conservationists are warning that many European countries are facing a second “silent spring” – a term coined by the ecologist Rachel Carson to describe the slump in bird populations in the 1960s caused by pesticides. Farmland makes up 45% of the EU’s land area, but farmland bird populations in France have fallen by an average of a third over the past 15 years. In some cases, the declines are worse: seven out of 10 meadow pipits have disappeared from French fields over that period, while eight in 10 partridges have vanished over 23 years, according to a second French study which examined 160 areas of typical arable plains in central France. What is less well-known is that some species of birds have already disappeared (possibly extinct though not recognised as such in the 1950/60s). My friend Jules Letambour, an expert on Jacques Perret's satirical ramblings mentioned to me the other day about Perret's writing that included the loss of bird life in France, in the 1950s, due to the mechanisation and pesticidisation of bigger industrial farms back then... Much of the wren species have gone. The cascade of events was fairly swift from the introduction of insecticide (which in those days— 1950s — were mostly arsenic and soon organochlorines such as DDT. They were replaced in the U.S. by organophosphates and carbamates by 1975 — then nerve agents). No insects, no birds. And the birds which ate grains were also destroyed by the DDT. See Silent Spring. 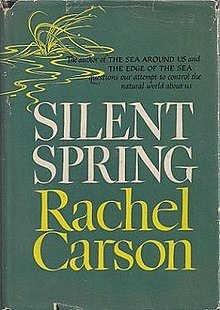 Silent Spring is an environmental science book by Rachel Carson.The book was published on September 27, 1962, documenting the adverse environmental effects caused by the indiscriminate use of pesticides. Carson accused the chemical industry of spreading disinformation, and public officials of accepting the industry's marketing claims unquestioningly. Starting in the late 1950s, prior to the book's publication, Carson had focused her attention on environmental conservation, especially environmental problems that she believed were caused by syntheticpesticides. The result of her research was Silent Spring, which brought environmental concerns to the American public. The book was met with fierce opposition by chemical companies, but, owing to public opinion, it brought about numerous changes. It spurred a reversal in the United States' national pesticide policy, led to a nationwide ban on DDT for agricultural uses, and helped to inspire an environmental movement that led to the creation of the U.S. Environmental Protection Agency. Over three decades later, in 1996, a follow-up book, Beyond Silent Spring, co-written by H.F. van Emden and David Peakall, was published. In 2006, Silent Spring was named one of the 25 greatest science books of all time by the editors of Discover magazine. Often research is simplified to one product when THE COMBINATION OF SEVERAL CHEMICALS with pesticides induce cancer. It is well known that a combination of benign factors lead to deadly outcomes that a single benign factor could not generate or would generate in a lesser dramatic result. Some of the factors act like a key/trigger. Being in the wrong place at the wrong time is one simple example of such deadly combinations.